Graph of the type f(x) = k/x: Its vertical asymptote will be x=0 and its horizontal asymptote will bt the value of y when the value of x is very large, say x = ∞. When k > 0, say k=1, the value of y = 1/∞= 0 which is the horizontal asymptote. Using a graphing calculator, its graph will be as shown below. Vertical Asymptote: The denominator is 0 when x = a; hence, the vertical asymptote is x = a.
Horizontal Asymptote: When the denominator is very large, i.e. ∞, then b/(x-a) is 0. 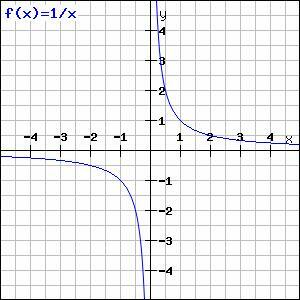 Y = f(x) = k is the horizontal asymptote. The graph of is shown below. 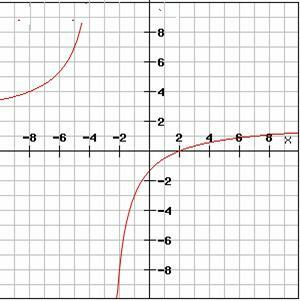 Draw the vertical asymptote x=a. Draw the horizontal asymptote y=k. Plot the points on each side of the vertical asymptote. Join the points to form the hyperbolas which approach the asymptotes. This will be a hyperbola with vertical asymptote x=a and horizontal asymptote y=k. The x intercepts of the graph will be the points where y = f(x) = 0, hence p(x)=0. The values of x for which a polynomial is zero are called the zeros of polynomial p(x). 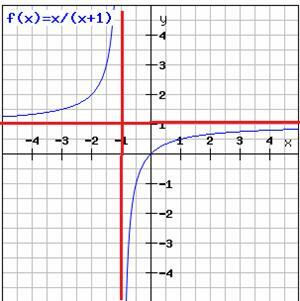 The vertical asymptote will exist for all the points where q(x) = 0, i.e. all real zeros of q(x). The example below shows the graph of x/(x+1). Find the highest degree of p(x) and q(x). Here, x is multiplied with another x only one time (2x2); therefore, its highest degree is 1+1=2. Here, x is multiplied with another x two times (x3); therefore, its highest degree is 1+2=3. Horizontal asymptote: take the monomial with the highest degree of x common in both p(x) and q(x). If the degree of p(x) = q(x), then these monomials will cancel out. The terms with x in the denominator would become zero, and we will get the value of the horizontal asymptote. If the maximum degree of p(x) > 0, then its horizontal asymptote doesn’t exist as y will be infinity. If the degree of p(x) < q(x), then the horizontal asymptote will be y = 0. Example: Type - p(x)/q(x) where the degree of p(x) = the degree of q(x). 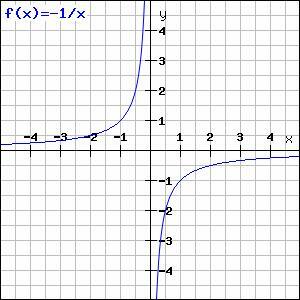 Graph the rational function y = (2x+5)/(x-1). Solution: First, we find the vertical asymptote where the function does not exist, and for this we check where the denominator of the given equation is zero. For this, let us set the denominator equal to zero (as shown below) and find the points. So, at x = 1 the graph does not exist. Next, we will find the horizontal and oblique asymptotes. Since the degree of the numerator and denominator are the same, the oblique asymptote does not exist, but the horizontal asymptote does exist. Now find the x and y intercepts. Example: Type - p(x)/q(x) where the degree of p(x) > degree of q(x) = 1. Solution: First, we find the vertical asymptote by putting the denominator equal to zero. Now find the horizontal and oblique asymptotes. Since the numerator has the greater degree, we find the oblique asymptote. Now find the x and y intercepts, i.e. Find the set of ordered pairs. Join the points to obtain the graph. 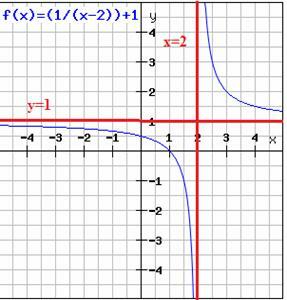 The graph shown below is of a _____________ function.